Well, here’s a lost gem from a bygone era! Ptarmigan was a relatively short-lived Canadian acoustic group. The core of the band consisted of singer and recorder player Glen Dias and twelve-string guitarist Monte Nordstom joined by subtle percussion and not a lot else. The music is an unusual hippie acoustic jazz folk rock blend full of nature imagery and West Coast atmosphere, with a bit of Middle Eastern flavor for accent. No wonder they caught the attention of flutist Paul Horn (the jazz experimentalist who made a name for himself recording solo flute inside the Taj Mahal), who produced Ptarmigan’s long-lost album. Most of the album is taken up by multipart songs like “The Island” (referring to their home on Vancouver Island) and “A Hymn to the Ocean and a Great Northern Lake.” It was recorded 1972-73 and not released until 1974 on Canada’s Columbia label, by which time Dias and Nordstrom had disbanded the partnership. The music is hard to describe, and somehow manages to be both timeless and very much a reflection of its times. 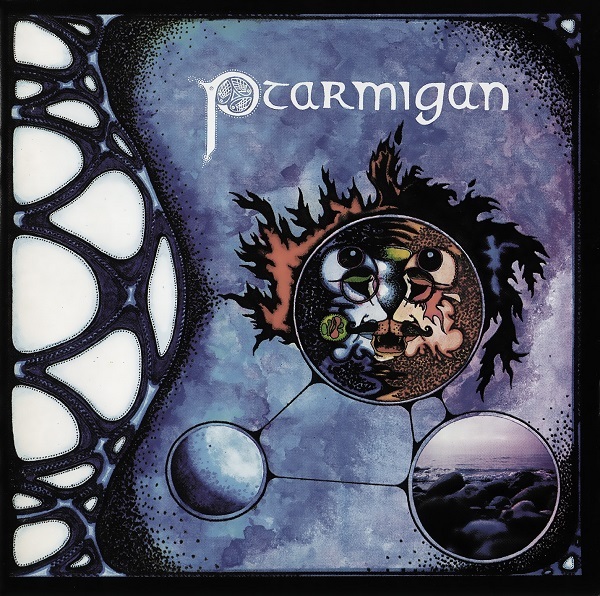 This reissue also features a 16-page book with a detailed history of Ptarmigan and some bonus material recorded in 1978 by former members of the group.